In a packed week of exciting mid-week releases by Kameron Hurley (Rapture) and Walter Jon Williams (The Fourth Wall), it’s Joe Abercrombie’s Red Country which leads the way in new audio releases. However, all the news isn’t great, as there is apparently no forthcoming audiobook for Cherie Priest’s latest Clockwork Century novel, The Inexplicables. Red Country by Joe Abercrombie, read by Steven Pacey for Hachette Audio — Length: 19 hrs and 2 mins — The third standalone novel in the world of Abercrombie’s First Law trilogy brings Pacey back as the voice of the series in the US. Apparently there were some pre-order SNAFUs at Audible (but why, people, why are you rating the audiobook with 1 star over the technical difficulty of a retailer?) but thanks to a review copy from Hachette I’ve already finished listening to the audiobook. I’m pleased as punch that Pacey’s back, as much affection as I do have for Michael Page, it’s hard to detach a great narration from the story, and for me Pacey is simply the voice of Abercrombie’s epic fantasy world. Also back in this audio production is the softly eerie interstitial music from The First Law, chains rattling and all. And that’s not all that’s back: it shouldn’t be a surprise or a spoiler at this point to say that “The Bloody Nine” is back, living as “Lamb”, a farmer raising three stepchildren in the Near Country, manners so mild as to be repeatedly named a coward. (Though, as he reminds central viewpoint character Shy South, “Sometimes, a coward’s what you need.”) Also making his return (and this is in the second chapter, so I’ve no worries of treading into spoiler territory here) is one mercenary general Nikomo Cosca, seen through the eyes of the second central viewpoint character, Temple, the mercenary troup’s lawyer. The Near Country is a bit of an analog with the early American midwest frontier, but the novel spends nearly all of its time heading into and stomping around the Far Country, land of wild plains (populated by Ghosts, analogs of Native American tribes) and now a full-on gold rush. Lamb and Shy South are thrust into the Far Country after Shy’s younger sister and brother are kidnapped by persons unknown, for reasons unknown, headed to parts unknown. Shy plays quite the part of Mattie Ross from Charles Portis’ True Grit, a no-nonsense haggler who gets what she wants, but Shy’s past is certainly much darker. Into the tale is woven additional characters new and old, from The First Law trilogy as well as from Best Served Cold and The Heroes, along with a Daniel Boone analog in guide Dab Sweet, frontier Wild West towns, and even brushing up against the mythos of The Maker himself. It’s a well-handled large ensemble cast, and while we dip into other points of view here and there, mainly this is the Shy South and Temple show, and that’s ok by me. The story’s much more focused and linear than the multi-setting tapestry of The First Law, giving us many chances to observe Lamb from the outside rather than the inside. We get a few choice catch phrases about having to be realistic, and “say one thing, say he’s a…” makes its familiar and comforting call and response. It’s a hard ending for me to fully like, as I surely had an argument in my head as to how it could have ended just a bit differently, but not so much that I didn’t immediately add the book to my own year’s best list somewhere. Only one plot thread seemed to me to be left dangling ever so slightly, but it wasn’t a central one by any means. But! But… The downside to producing brilliant work is that additional, escalating brilliance is the expectation. Abercrombie’s latest, a thoroughly enjoyable and compelling read, is my favorite of his standalone books, and right in the mix with The First Law trilogy. But there’s not too much truly surprising and new, the bar isn’t raised, and the stakes are high personally, but not epic in scope, except almost tangentially. Abercrombie and Pacey reach the bar they set together with The First Law, but they don’t surpass it. It’s high praise, and genuine, but I also hold out hope that Abercrombie can do even better, dare to create more unexpectedly and boldly. Two final notes on the narration: continuity of voice across The First Law and Red Country is fantastic, to the point that I could recognize recurring characters before the prose more properly introduced them, and that’s a fantastic thing. But, I thought the narration was a notch too slow, and so I hope Pacey’s, er, pace, gets the tiniest boost if Abercrombie returns to the world of The First Law. Which I hope he does. 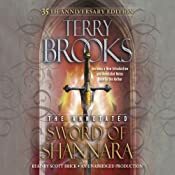 The Annotated Sword of Shannara: 35th Anniversary Edition By Terry Brooks, Narrated by Scott Brick for Random House Audio — Length: 27 hrs and 34 mins — about an hour and a half longer than the non-annotated version The Sword of Shannara: The Shannara Series, Book 1, which in the simultaneously released hardcover format includes a new introduction by the author, annotations, and (not translatable to the audio format) the Brothers Hildebrandt illustrations. In the print book, the annotations are in the outside margins — reminiscent of the Annotated Dragonlance Chronicles by Weis and Hickman some years ago. I’ve no idea how these are handled in audio (or ebook for that matter), but something’s adding an hour and a half to the audio, and it isn’t just the introduction. 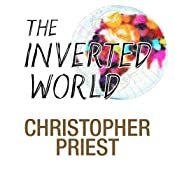 Audible Ltd has spent the first half of November publishing the novels of Christopher Priest, adding six books in all. Most interesting to me are 1. his linked story collection The Dream Archipelago (read by Michael Maloney), “In a world at war, the Dream Archipelago is a neutral zone, and therefore an alluring prospect to the young men on both sides of the conflict. In this interlinked collection of short stories and novellas, Christopher Priest explores war, relationships and forms of reality. Each tale is a truimph of quiet, steady craftsmanship, a model of ingenious design and subtle implication, and as a group they further enrich each other by interlocking cleverly, symmetrically and sometimes sinisterly.” And 2. the 1974 BSFA winner Inverted World (read by Steven Cree), “A uniquely powerful novel of a society in decay. On a planet whose very nature is a mystery a massive decrepit city is pulled along a massive railway track, laying the line down before it as it progresses into the wilderness.The society within toils under an oppressive regime, its structures always on the point of collapse, the lives of its individuals lived in misery. 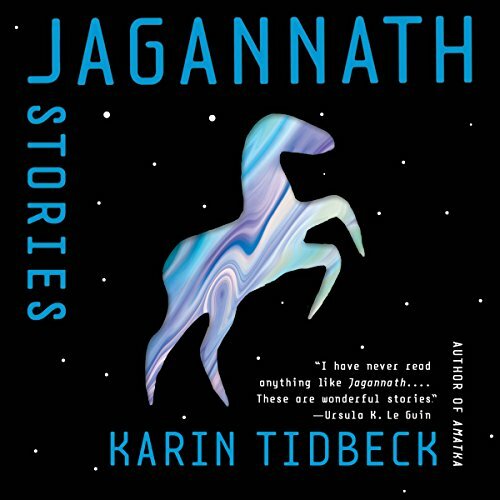 No one knows where they are going, why they are going or what they will find when they get there.” Other Priest audiobooks new this month include: The Space Machine and The Glamour (Narrated by Barnaby Edwards), A Dream of Wessex (Narrated by Caroline Lennon), and The Extremes (Narrated by Stephanie Cannon). While there’s sadly no sign yet of his most recent novel, the John W. Campbell Award-winning The Islanders, for the many fans of Priest’s The Prestige looking for more of his works in audio, certainly, here is quite a list. The Inexplicables by Cherie Priest (Tor, November 13) — All of the previous books in The Clockwork Century have come to audio, but no news yet for the latest. 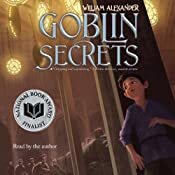 This entry was posted in regular, Release Week and tagged cherie priest, christopher priest, goblin secrets, joe abercrombie, kameron hurley, red country, shannara, terry brooks, walter jon williams. Bookmark the permalink.